CTIC is a Sino-Danish research center that starts operations on April 1st, 2011. The center is a three-year collaboration between the Computer Science Department at Aarhus University, Denmark and ITCS, Tsinghua University, Beijing, China. Center leaders are Andrew Chi-Chih Yao, Tsinghua, and Peter Bro Miltersen, Aarhus. The focus areas of the center are computational complexity theory, cryptography, quantum information theory, and algorithmic game theory. 2015.12.18 — We wish you and your families a merry Christmas and a happy new year. We are looking forward to 2016! 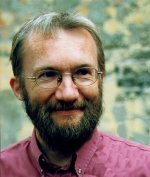 2015.12.17 — Jakob Bjerre Jakobsen's computer science thesis confirms that if you face having to make your own app that encrypts chat or other computer program that guarantees conversations via encryption, it is safer to use a proven, state-of-the-art product. 2015.10.23 — Four days of interesting og diverse talks within the areas of quantum information and quantum cryptography have come to an end. Approximately 30 people from academia and industry spent the past days listening to and presenting interesting talks, sharing ideas and knowledge within the selected research areas. We want to thank speakers and participants alike for contributing to some inspiring days. We will be looking forward to welcoming you back to Aarhus in the future. CTIC and CFEM welcomes Maciej Obremski. 2015.10.12 — Maciej Obremski has recently been employed as a Post Doc in the Cryptography and Security group at Department of Computer Science. In connection to his employment he will also be attached to the CTIC and CFEM centers. Maciej has a PhD in Computer Science and M.Sc. in Mathematics from University of Warsaw. Codes Theory and Tamper-Resilient Cryptography is Marcej's main research area but his research interests are Information Theoretic Cryptography, Randomness Extractors Theory, Boolean Functions and Probability Theory on Abelian Groups.